Here are some pretty cool ways to work with the Windows registry. Start multiple instances of Regedit by appending the command-line parameter -m, e.g. : regedit -m.
Regedit’s favorites are a handy way to get to keys you often need. The list of favorites is stored in the registry (where else? ): HKCU\Software\Microsoft\Windows\CurrentVersion\Applets\Regedit\Favorites. Exporting the favorites to a .REG file can easily be automated with reg.exe (see below). Adding keys and values to the registry with .reg files is obvious. But deleting is possible, too. Please note the use of the hyphens (-). 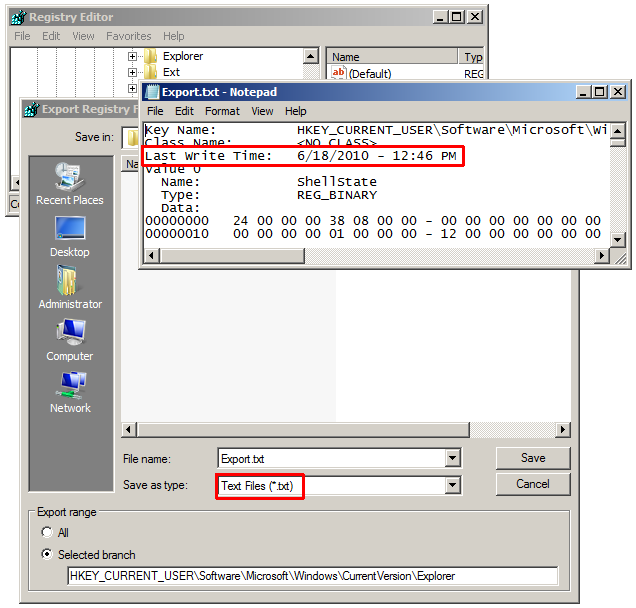 You are a programmer and need registry key timestamps in your application? 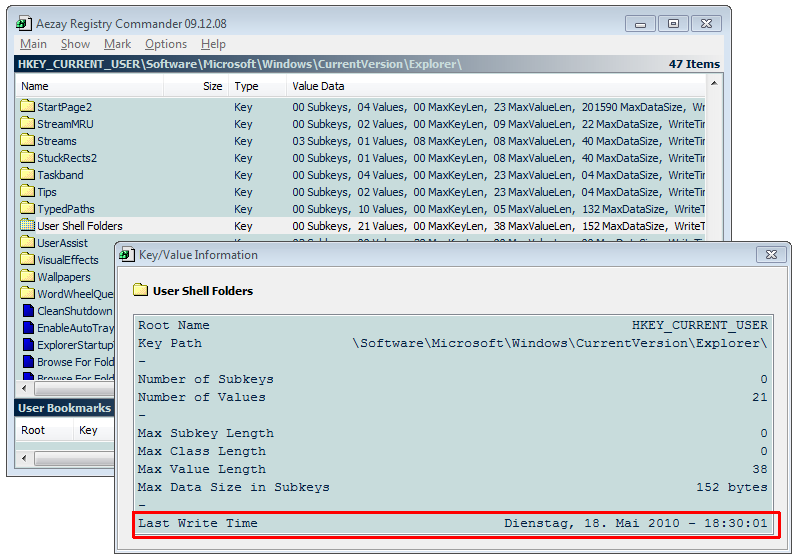 Do what Regedit and Registry Commander do: use the Windows API function RegQueryInfoKey. And .NET? Sorry, nothing there. The .NET framework is an abstraction of the “real” C++ APIs and as such hides ugly details but also gems like a registry key’s timestamp. The variant /reg:32 works, too. Use that to see the 32-bit view from a 64-bit process. Note: This switch requires hotfix KB948698 to be installed on older operating systems. Windows 7 and Server 2008 R2 include the fix.